Birdwood Golf has a wonderful spring and summer in tune for junior golfers including a special Kickoff Day on April 20 and a series of summer camps for all skill levels. For more information about camps and registration, contact Scott at (434) 972-6083 or email him at SEzell@BoarsHeadResort.com. Junior Kickoff Day April 20 1:00 p.m. - 3:00 p.m. Junior golfers of all ages are welcome to this free event. Our professional golf staff will have an assortment of games, contests prizes and more. Registration for spring and summer programs will also be available. Campers will learn the fundamentals of the game in a safe, fun and stimulating environment. 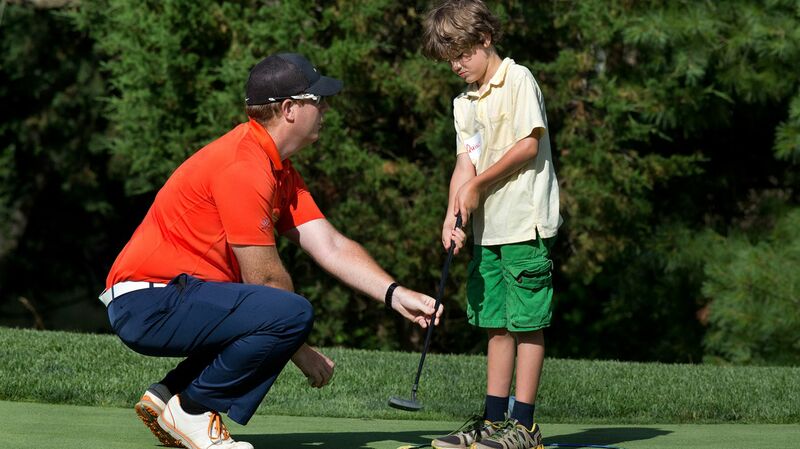 Camps are designed to allow participants to meet other young golfers and help foster an enthusiasm and passion for the game. The Players Camp is a four-day program designed to give the high-level junior player an opportunity to develop their game in preparation for high school, collegiate or tournament golf. Learning sessions will include technical instruction in all parts of the game, course management, mental training, fitness education, nutrition habits, as well as significant on-course playing time. For full details on any of our camp information, contact Scott at (434) 972-6083 or email him at SEzell@BoarsHeadResort.com.